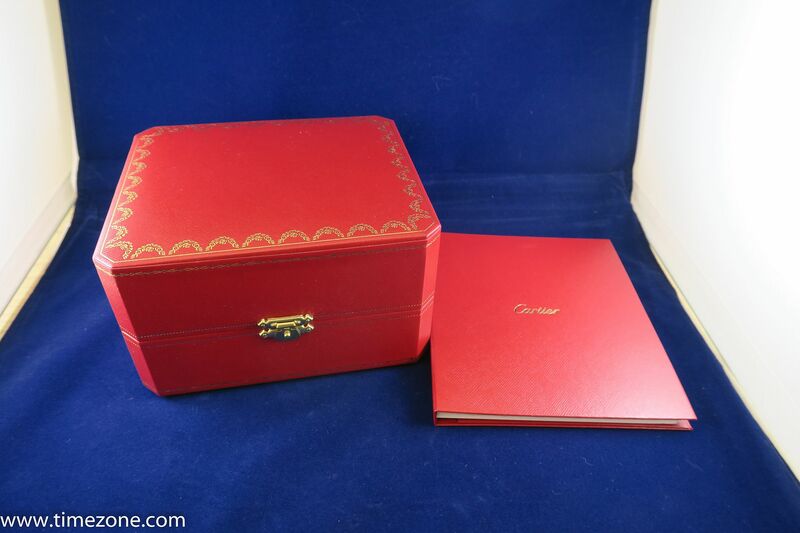 TimeZone : Cartier » A Study in Scarlet -- and first post on Cartier! And a new one for Mrs. B! Mrs. B and I had rescheduled a weekend in Manhattan last fall due to the Nationals (ill-fated) playoff schedule, and had decided to go up over Washington's Birthday weekend, with no real plans (we did finally make it to The Cloisters, and now have to go back in the spring or fall!) other than to wander around, have some pizza and some Indian food, and probably browse a few watch boutiques. hmmm, that doesn't look like a green box! 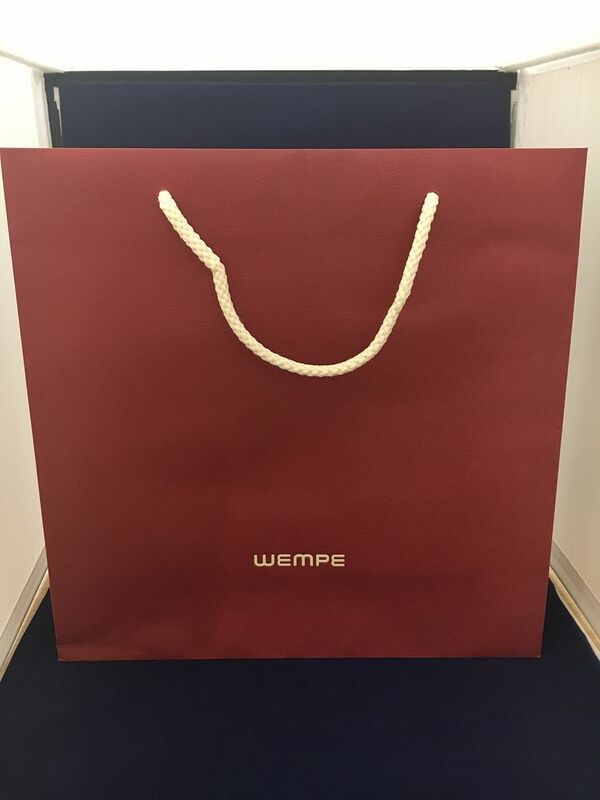 Inside, pretty much the ultimate in simplicity, which is why she loved it! 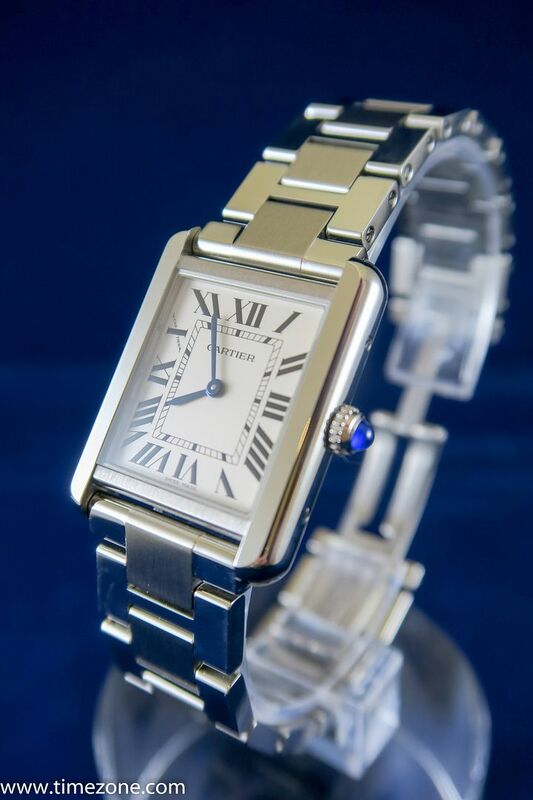 Cartier Tank Solo small size. 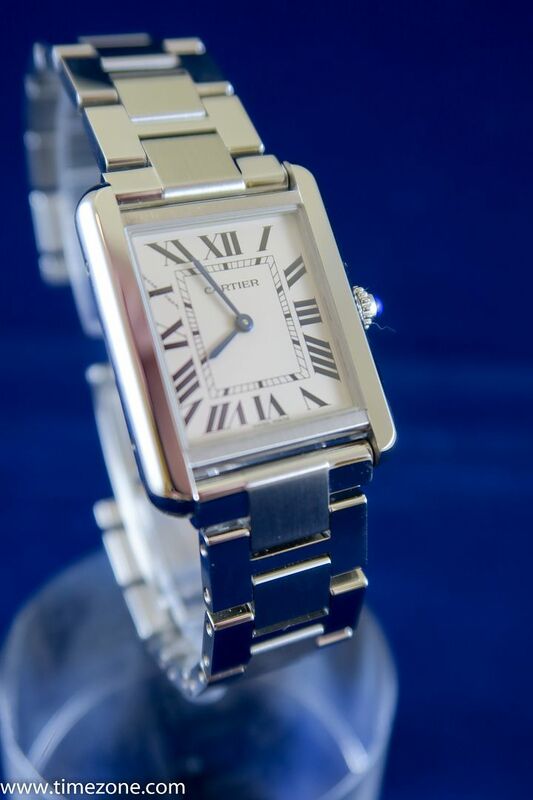 Cartier quartz movement. Watch in stainless steel with a bracelet she already loves. Totally different look from her other watches, with the practicality for her of a quartz movement. She had a Victorinox Swiss Army "tank style" watch for years, and had been heartbroken when a battery replacement didn't fix the watch. 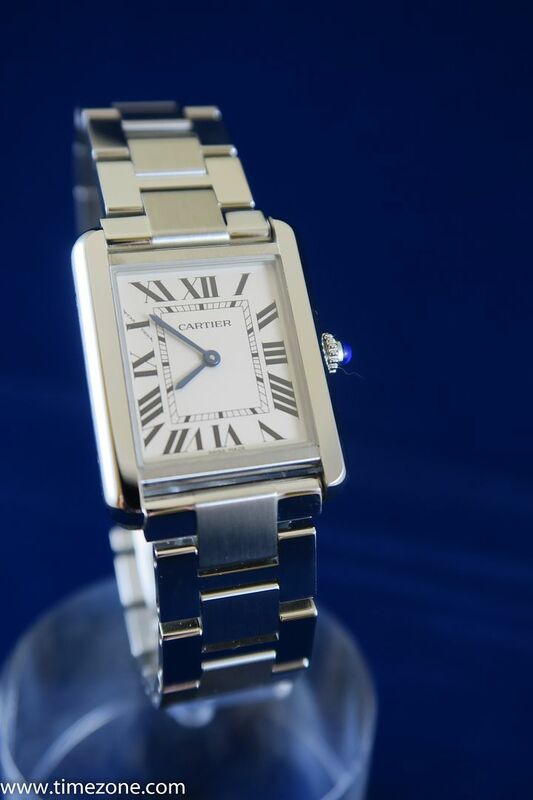 I had been looking at Cartier for her. She's still a school teacher, and precious metals and diamonds make her uncomfortable, but this one fit her perfectly and gives her another alternative to her Datejust and Oyster Perpetual. 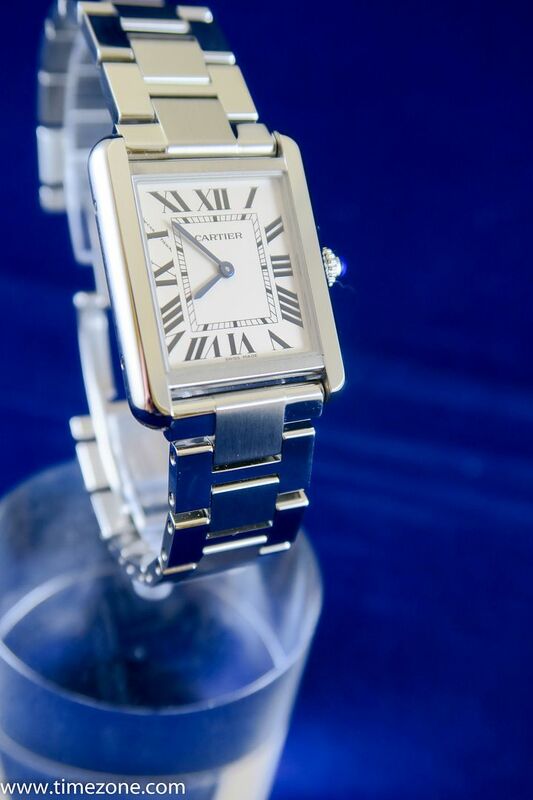 I realize this may be the simplest watch Cartier makes, but that's what I was looking for, and what she fell for almost immediately (score one for the husband!!!). Next Topic: Check for stolen watch?